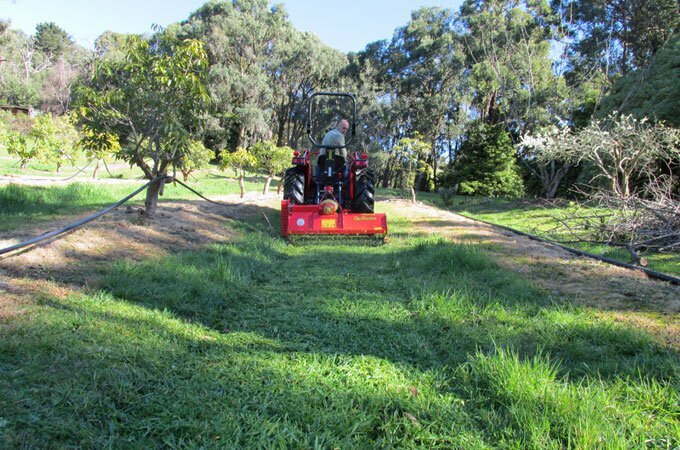 Del Morino FP tractor flail mowers provide an effective solution for the control of excessive growth. 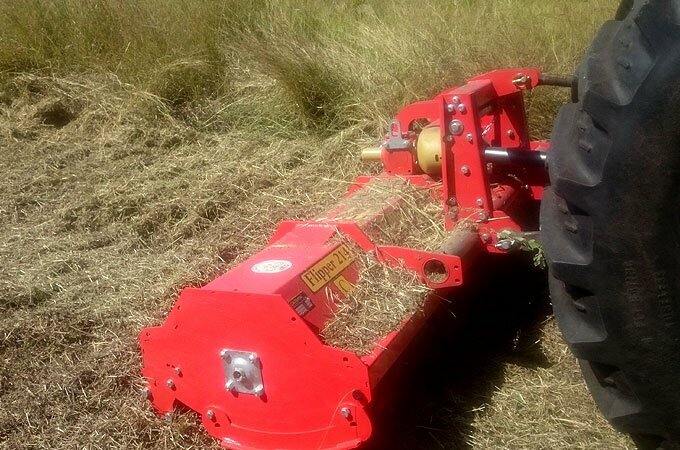 Del Morino PTO flail mowers, also known as mulching mowers, are designed to mow and shred concurrently. 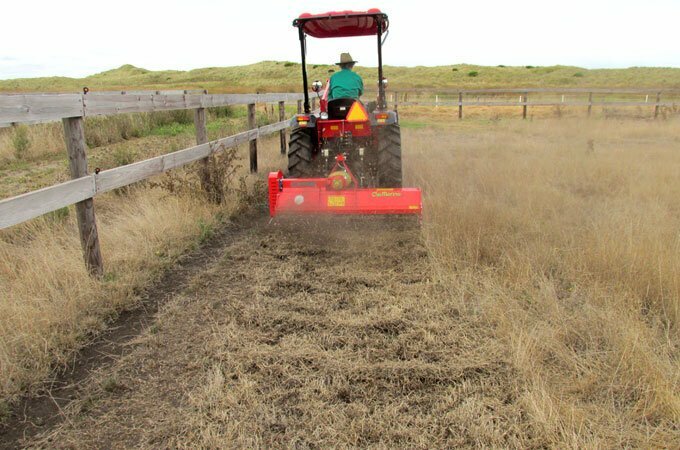 The shredded material acts as an effective mulch, to retard ensuing growth while providing a medium that will better release nutrients into the soil. 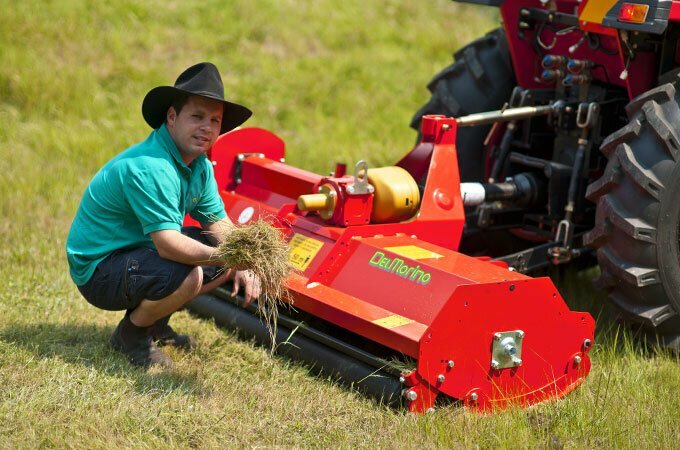 > Del Morino Flail Mowers on sale – prices here! 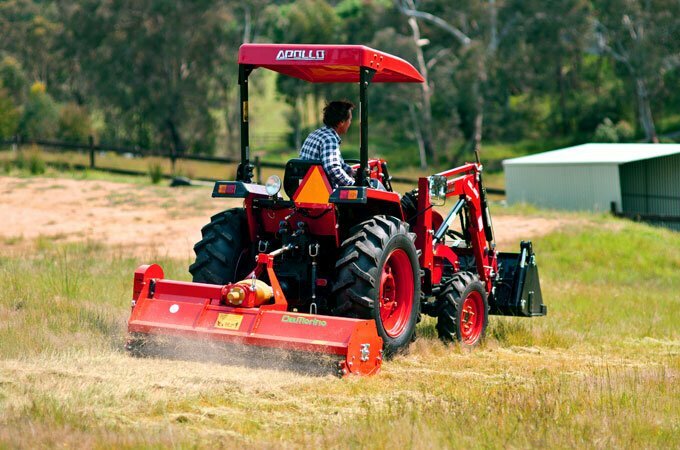 Del Morino flail mowers produce an effective, fire-retarding mulch. 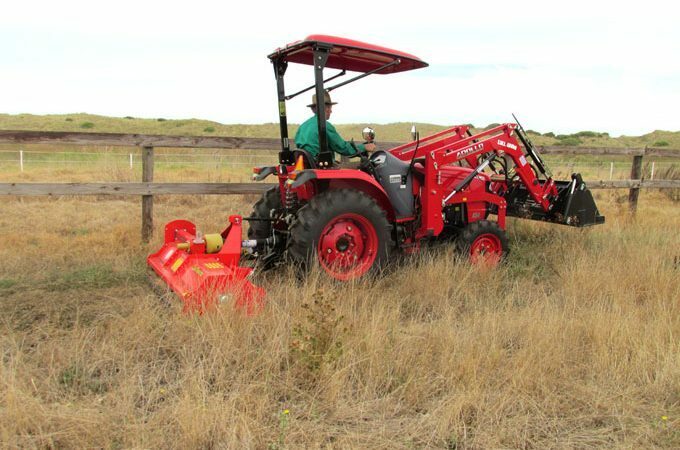 A key benefit of a PTO flail mower, is fire prevention. 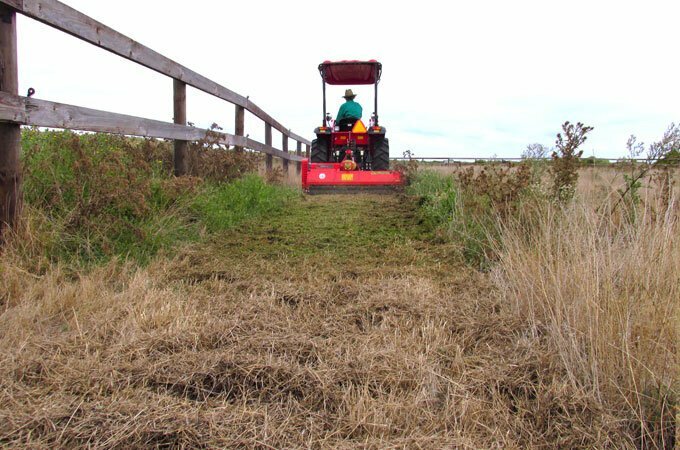 A slasher will cut 6′ overgrown grass in most circumstances however the material will be left ostensibly intact, drying in the sun and becoming potential fuel. A flail mower overcomes this by pulverising and mashing the material, leaving it friable and naturally fire inhibiting. 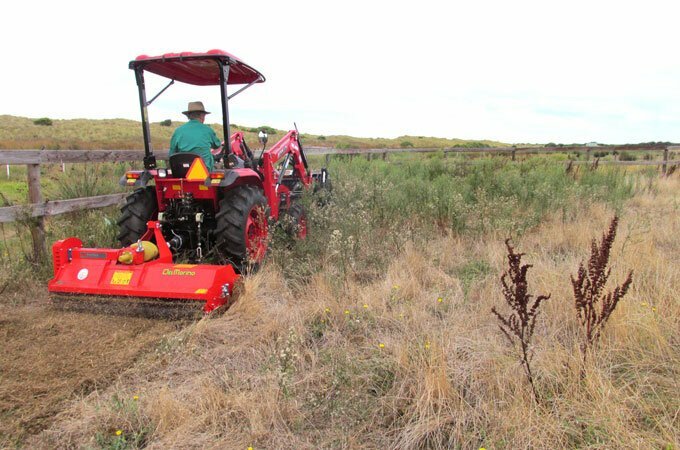 Farmers, growers, landscape professionals and bush block owners will all benefit from a Del Morino flail mower when unwanted growth and litter gets out of control. 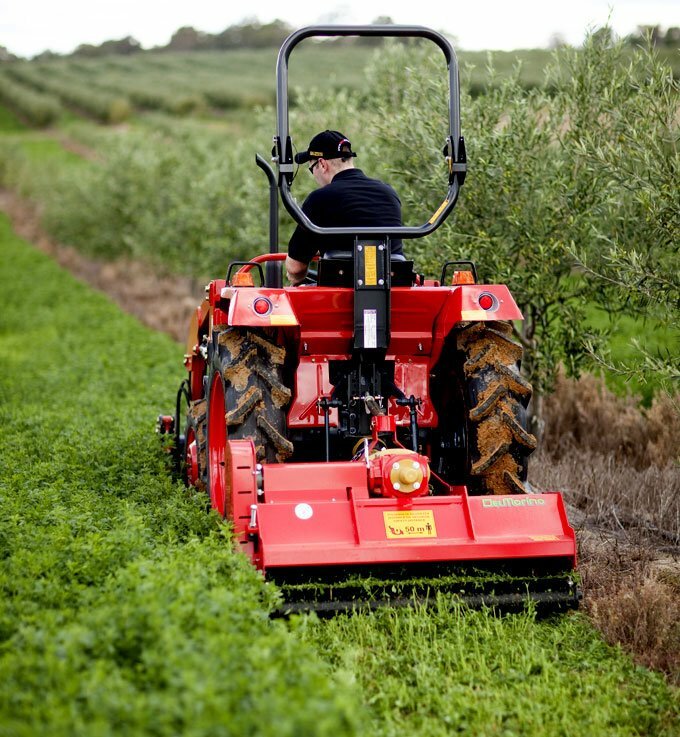 Del Morino FP flail mowers have strong, heavy-duty Italian gearboxes and suit tractors between 20hp and 120hp. 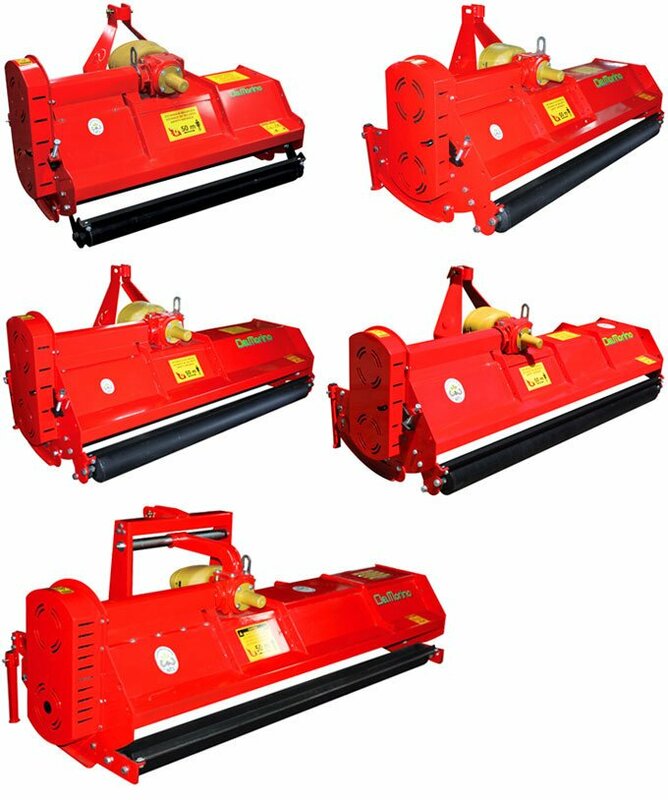 Del Morino flail mowers come with two years factory warranty. Del Morino flail mower FP186. 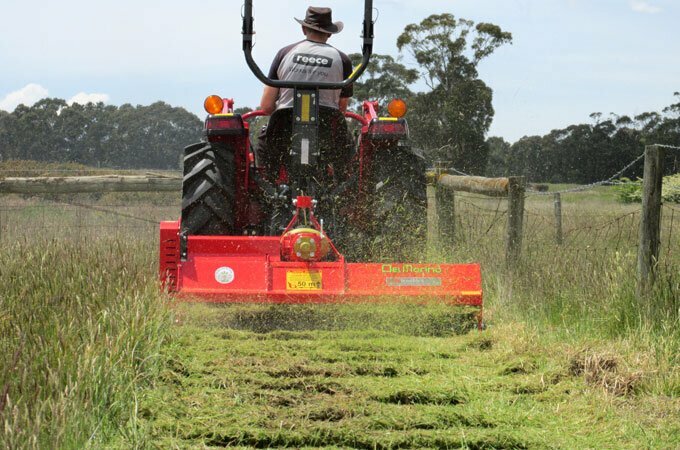 The Del Morino FP186 flail mower has a cutting width of 186cm. 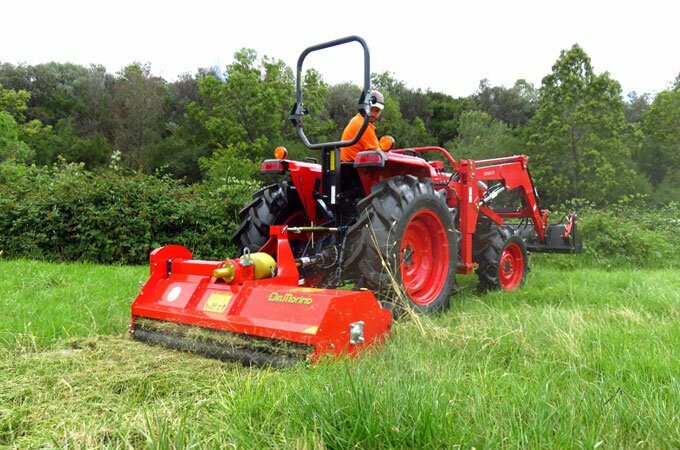 The Del Morino FP158 flail mower has a cutting width of 158cm. 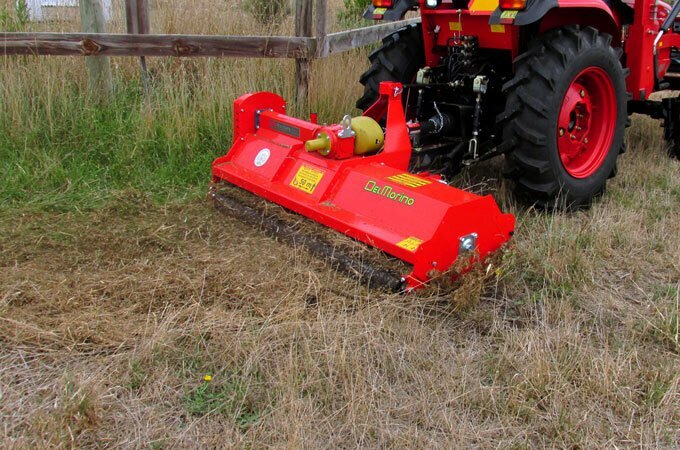 Del Morino FP158 flail mower - Manufactured in Italy. 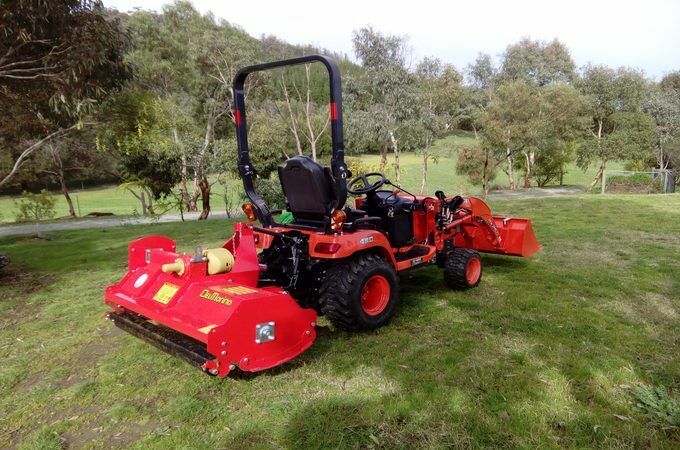 Kubota L3408DT with Del Morino FP158 flail mower (hammer blades). 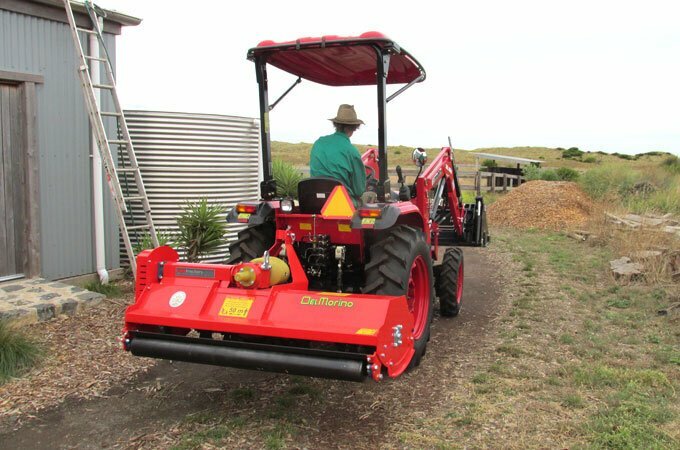 The Del Morino FP132 flail mower has a cutting width of 132cm. 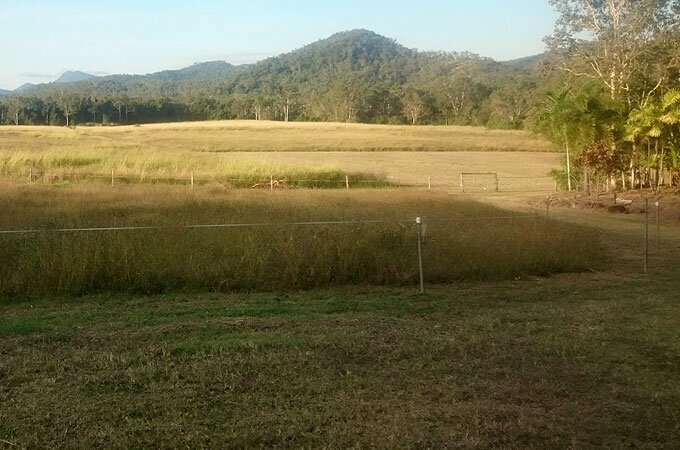 A customer’s paddocks before mowing. 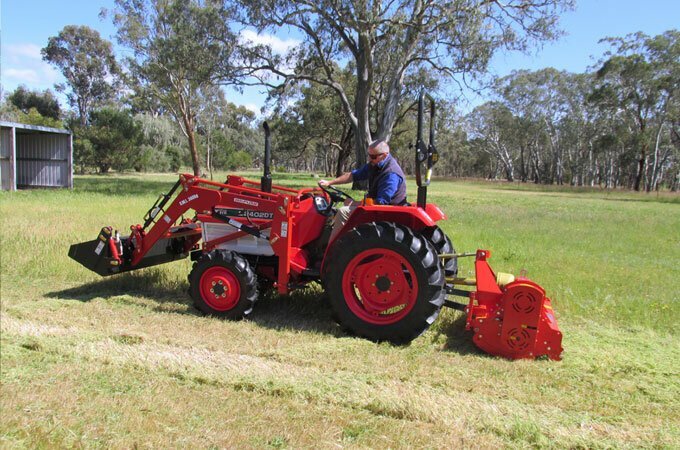 The Del Morino FP214 flail mower. 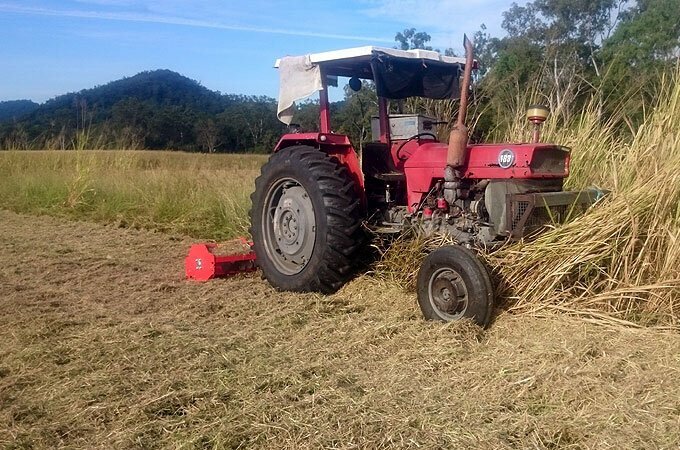 Del Morino FP132 (132cm) fitted to Kubota BX25D. 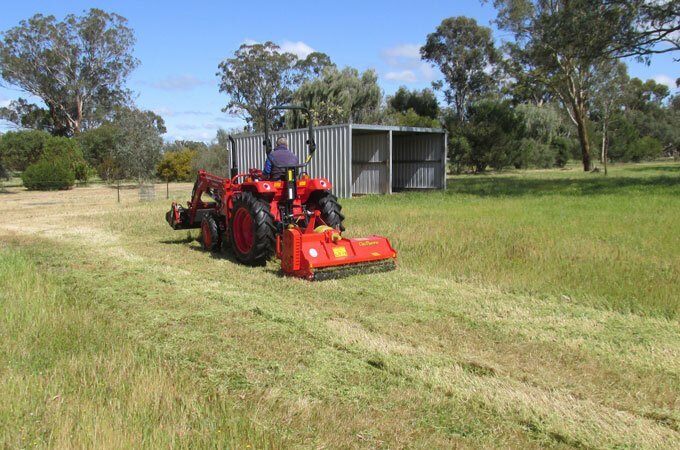 Del Morino flail mowers for small, compact tractors. A manual side shift kit or hydraulic side shift kit is available. (available with or without hydraulic side shift kit). 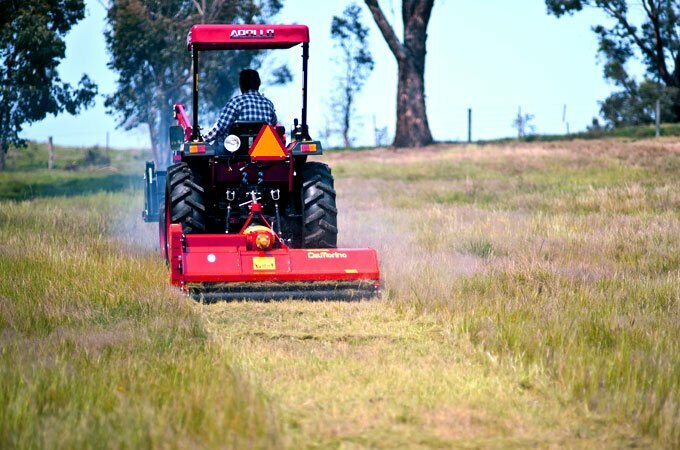 The Levante is a heavy duty, premium flail mower for larger tractors, from 80hp to 120hp. 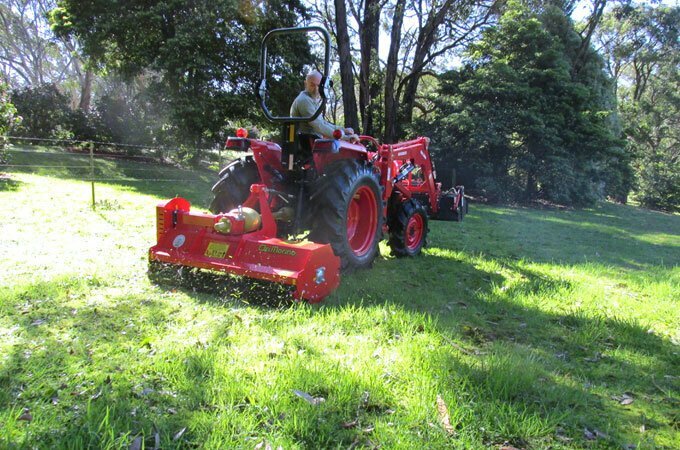 The Levante has been specifically engineered for effortless mulching of heavier material. 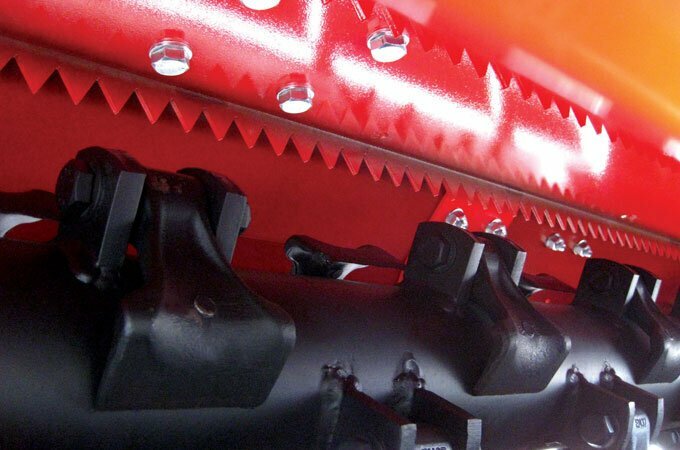 An internally mounted, dual-mulching (shredding) blade is welded to the frame in the mulching chamber. The frame is reinforced with square steel tubing on the leading and rear edges, with a rubber guard on the front to contain any objects thrown by the flails. The Levante has a strong Italian gearbox and a cutting height of 2-12cm. 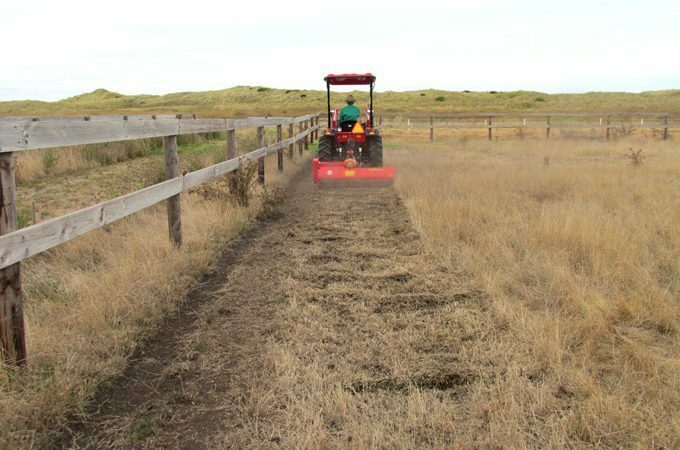 Overgrown grass and undergrowth can be easily converted from a potential fire hazard into a friable mulch. 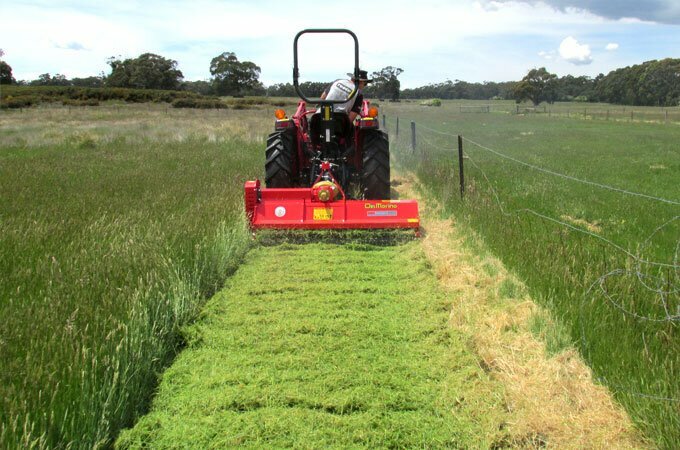 The Del Morino Levante is priced thousands of dollars cheaper than comparative premium flail mowers. 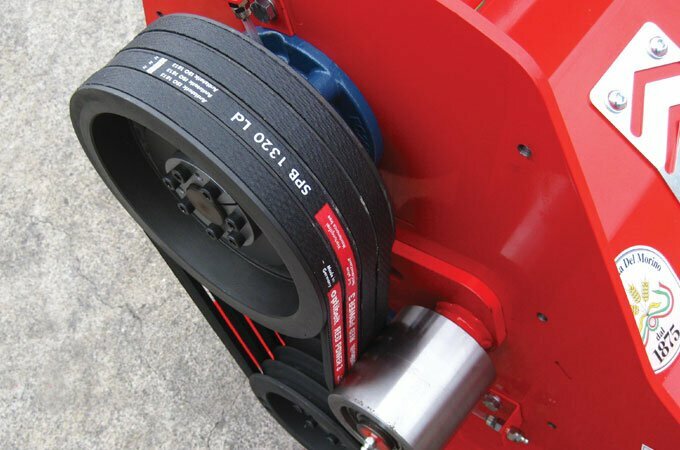 The transmission has four heavy duty belts. 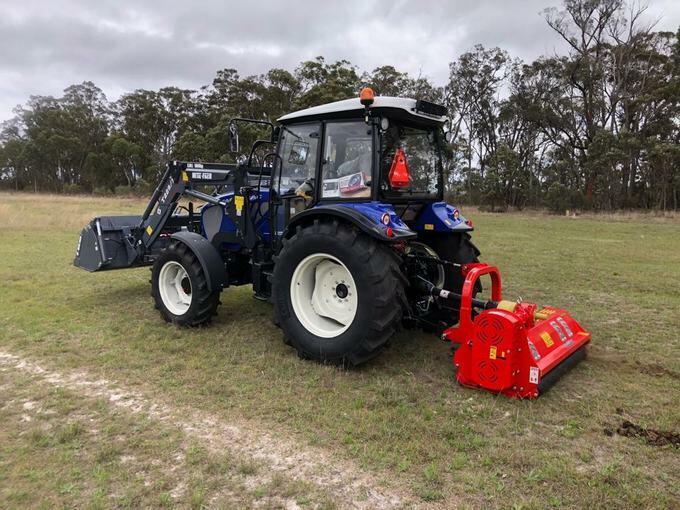 Farmtrac 675DT and Levante LV160 (1.6m.) 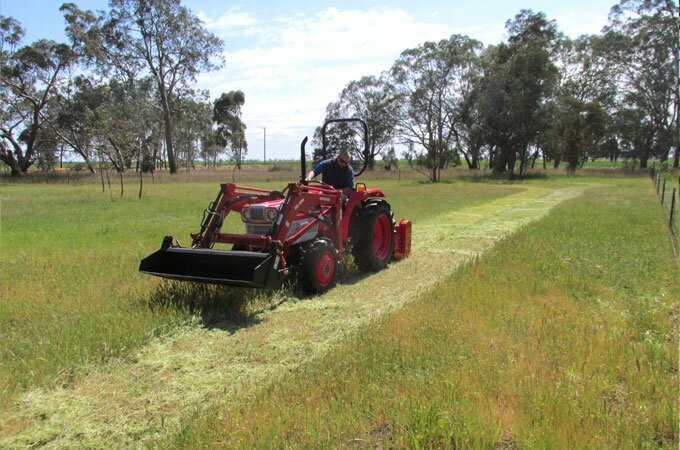 flail mower. From left to right: LV160 and LV190. From left to right: LV220 and LV250. 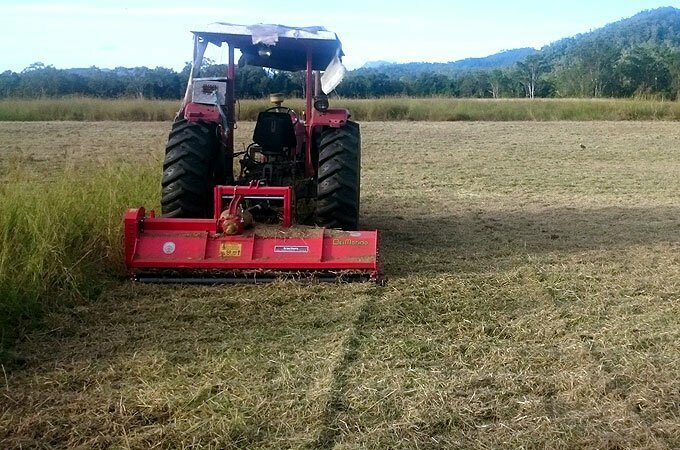 Del Morino has been building farming equipment for over 140 years. 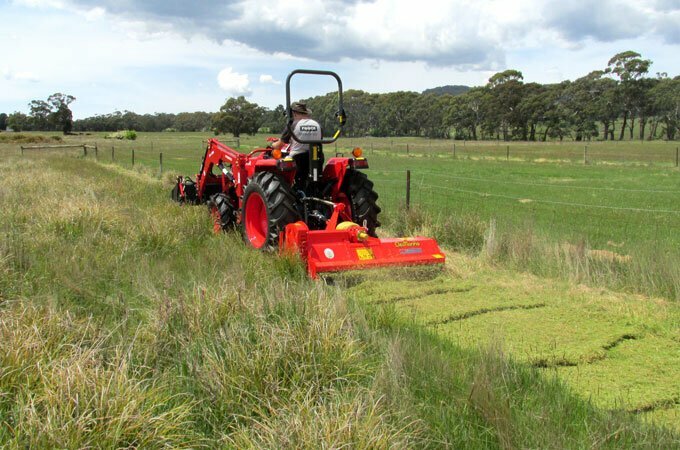 Del Morino understands the relationship between precision engineering and the durability of its flail mowers. Read more about Del Morino’s engineering.